It's me Frenchie sharing my card at Tina. 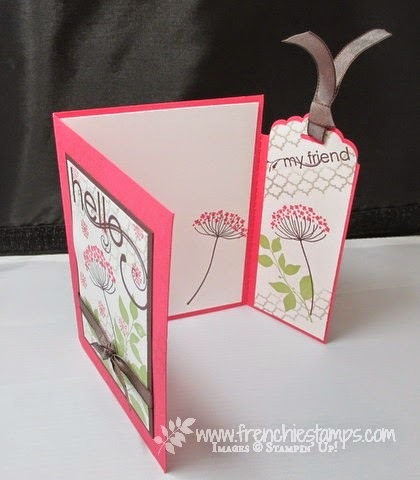 Are you ready for one of my fun card? 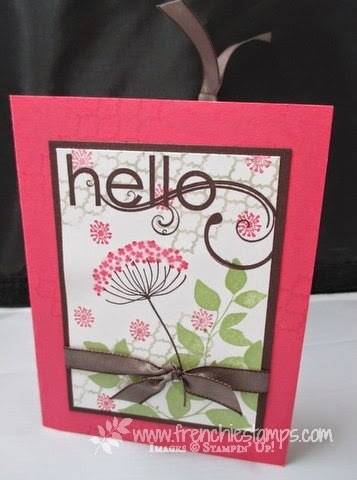 Well I sure think this is a fun card for teacher, friends that will be getting a NEW Stampin'Up! catalog to save a page...... I did a video a few weeks ago you can view the video by CLICKING HERE. 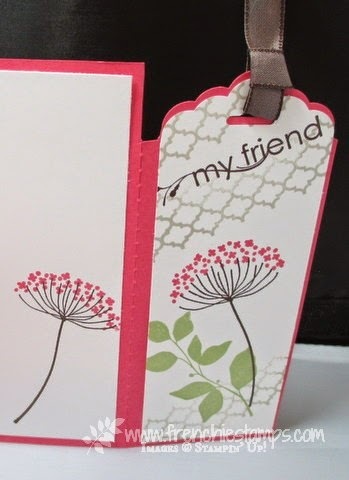 stamps set My Friends *sorry this is retired and sold out :( and Summer Silhouettes Available wood #132082 clear #126447 the taffeta ribbon only a few color still available so don't miss out on the retired product order while you can.